Our mobile phones have sadly become the final resting place for many of our family memories. Pictures of first days of school, fall adventures, family gatherings at home and other priceless moments in your family history never make it out of our mobile photo albums. This is understandable because these days we are no longer taking the allotted 36 snaps on our film cameras. Now we have the digital memory to take thousands of photos. If you take, say, 10 photos a day every day for a year, that adds up to nearly 4,000 photos left to stagnate on your digital device. But they don’t need to be lost and unseen. In fact, organizing and clearing your phone of clutter is similar to cleaning out a disorganized closet at home. When you’re cleaning, you will wonder what made you keep certain photos for so long, much like you might wonder why you kept a sweater from high school. You will also discover some treasures, just like you will no doubt discover treasures in your closets, such as an old guitar or your grandmother’s favorite earrings. 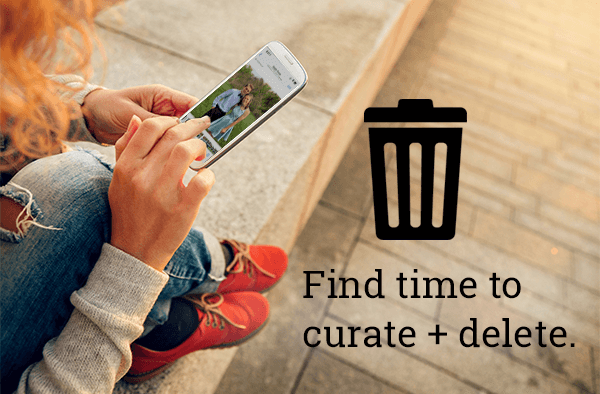 No time is better than the present to sort out the mess on your phone. We truly don’t need thousands of photos. If you scroll back in your camera roll, there may very well be duplicate photos, screenshots of recipes you never used or poor-quality photos. Delete these! You want your photos to tell a story about a memory you have and keeping photos that you will never use again only adds to the clutter. And clutter is the last thing you need when it comes to photo organization. Beginning this process may be intimidating. It’s much like opening the closet you’ve been afraid to open for years, for fear that a ton of junk will tumble out. But you’ve got to let go of the junk to get to the memories that matter most. 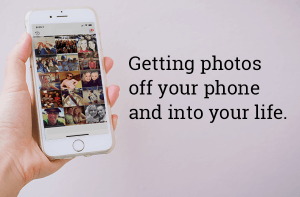 Spend time deleting photos while in line at the grocery store or set aside time once a week to delete photos. Just like the minimalist mantra, if something doesn’t bring joy, get rid of it. 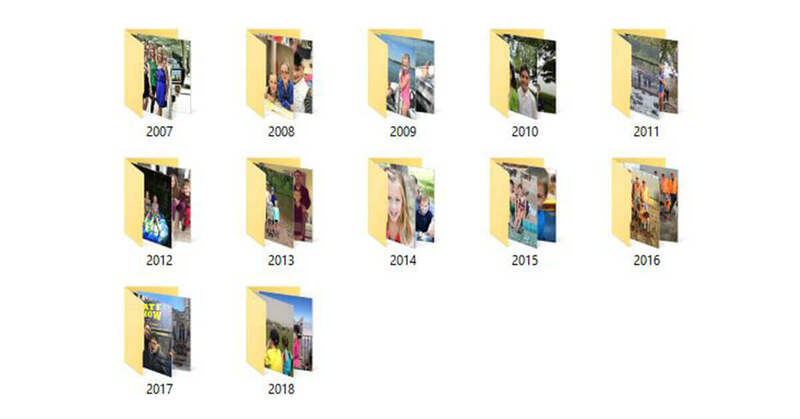 It takes time and computer know-how to begin the organization of your digital files, and this should also be an enjoyable process because you get to reminisce on past moments. 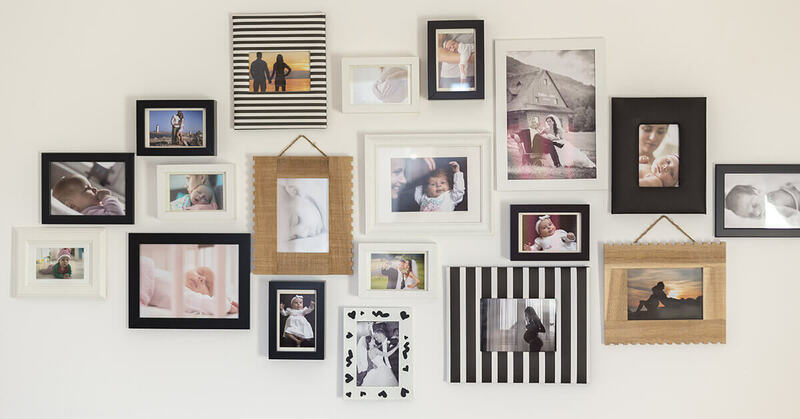 Once you’ve sifted through which photos to keep and which photos to toss, you can begin placing the photos in folders or albums, either separated by year or by an event. This is exactly the process you might use when you are organizing your messy closet. Put winter items in one box, summer in another, and so forth. 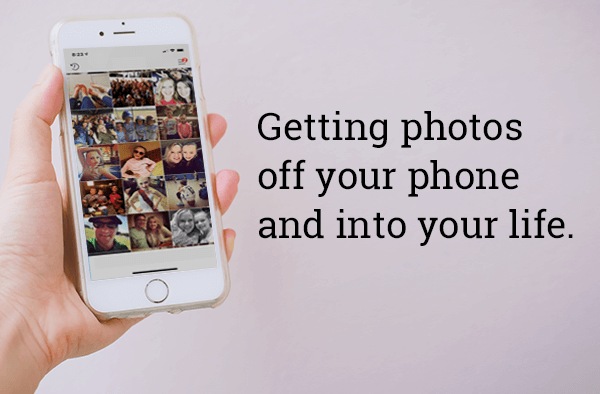 Next, you’ll want to get your photos off your phone and put them on display for all to see. You can add photos to photobooks, framed wall galleries and novelty items like pillowcases and coffee mugs. Bio: Cathi Nelson, author of Photo Organizing Made Easy; Going from Overwhelmed to Overjoyed, is the founder of APPO (Association of Personal Photo Organizers), a membership organization dedicated to helping thousands of entrepreneurs from around the globe build successful photo preservation and organizing businesses.